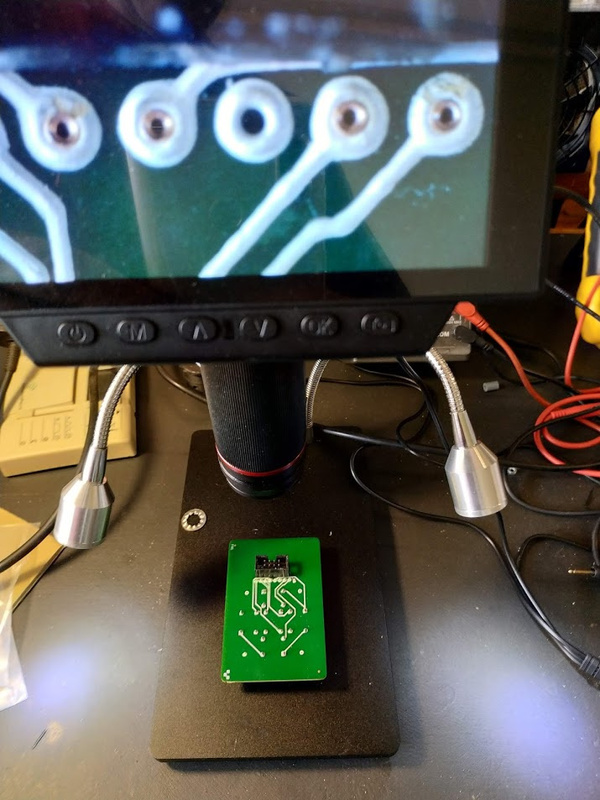 I’ve been telling myself I need to learn KiCad for a long time now, but of course it is always easier to go with something you know than face the learning curve of a new tool, and i have stuck to Protel/Altium, Eagle and DesignSpark PCB until now. 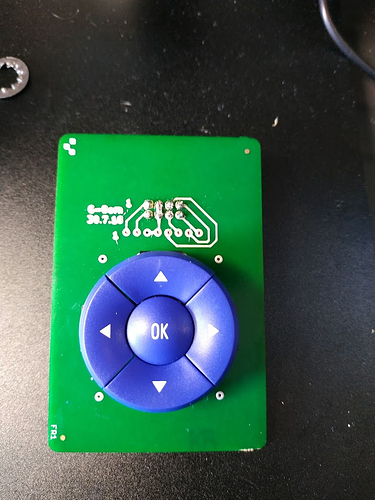 However for this little Navigation Switch interface board I bit the bullet, built the latest KiCad and FreeCAD packages from source (that took about a day in itself) and started to get to know them, and must say I think could easily get used to working with them. I love the way I get a nice 3D model which I can import into Rhino for integrating with our design and building 3D printed housings. Of course things never go smoothly, and it turns out the pad spacing on the KiCad MEC switch in their standard library is wrong (they used 450x300mil space instead of 400x300mil), but that helped me learn how to build/repair library parts, so all good! The following pictures show the as-built, which gave me a chance to use the V-One drill and rivets, which really worked rather well. 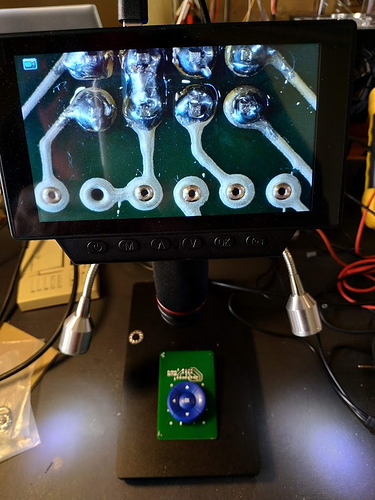 The microscope is a $200 one from Banggood which I recently purchased, nice long objective distance and I’m quite happy with it so far. 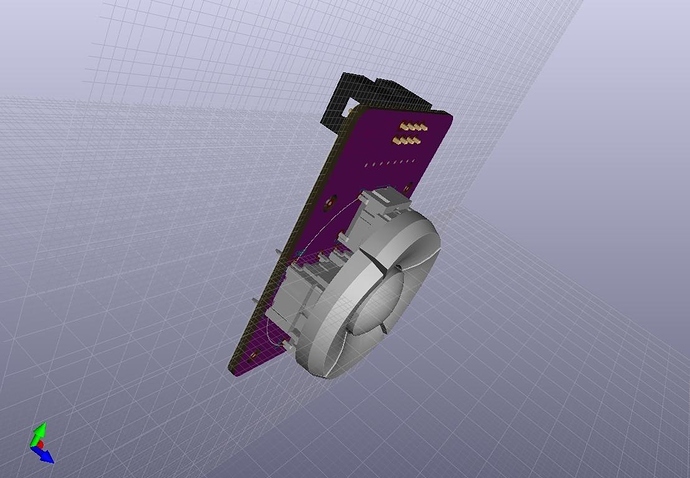 The board as shown is still the standard Voltera blank, while the model has edge-cuts and mounting holes, which were easily made by generating them in Rhino and importing back into KiCad. These tools all work rather well together now. I started learning FreeCAD as well, did my first tutorial today, but found it much quicker to jump into Rhino which I’m familiar with. I’ll route the edges and mounting holes on my CNC mill for the next one, but for this I was in a hurry to test the circuit and rivets. Oh, and I’m still using the original conducting ink from almost 2 years ago, it has been kept in the fridge but still surprised me how well it worked after all this time. Why did building the kicad and freecad packages take so long? 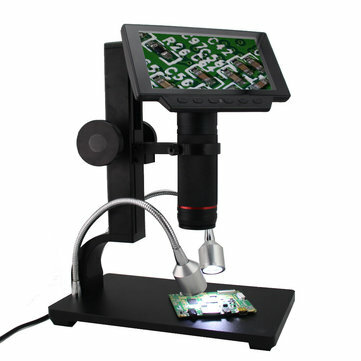 Will check out banggood for the scope… we’re in the market for one here at Voltera. 2 years with the original cartridge! Amazing! The build process integrates Git to pull in a lot of stuff over the net, including some massive part libraries for symbols, footprints and 3D models, as well as all the required dependency packages. My internet connection isn’t all that fast! Seems to have gone up in price since I bought it. It has a lot of good reviews.